*Part 4 in response to the Boston Globe article from September 15, 2012. Has anyone wondered why now, after all this time has passed, Elizabeth Warren's brothers finally decided to publicly speak in support of her claims? I did and I think they are nothing more than pinch hitters called in at the bottom of the ninth inning when everyone fears Elizabeth Warren will strike out. Basically, she needed her big brothers to come in and save the game because she couldn't do it herself. "David Herring of Norman, Okla., one of Warren’s three brothers, said in an interview that even when he was a child his relatives were reluctant to talk about the family’s Native American heritage because “it was not popular in my family.” Only when he begged his grandparents, said Herring, did they finally explain to him: “Your grandfather is part Delaware, a little bitty bit, way back, and your grandmother is part Cherokee. It was not the most popular thing to do in Oklahoma. [Indians] were degraded, looked down on.” "
Is he trying to tell us he was talking to his grandparents and one of them said, "Your grandfather....and your grandmother..."? If a grandparent was telling the story, wouldn't they say, "Your grandfather...and I..." or "Your grandmother...and I..."? And what about "pappaw"? Why did he all of a sudden become "grandfather"? And if this was such an important part of their lives and how they lived, why does he say he had to beg for them to tell him about it? Elizabeth Warren says it was an important part of their lives, yet her brother says the family was reluctant to talk about it? I wish they would make up which story they want to tell and stick with it because this ever evolving one is starting to get on my nerves! "Warren’s brother David, eight years her senior, calls the public controversy over the subject “a bunch of baloney.” He remembers relatives cautioning him when he played cowboys and Indians as a child. 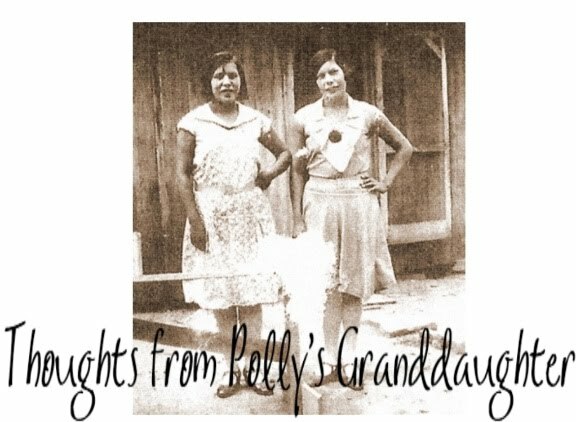 “My aunts said, ‘Be careful shooting the Indians because some of them are your relatives.’ ” But most shied away from the subject of the family’s heritage, Herring added, because “it wasn’t something you were proud of.” "
Did you notice they did not tell him he was Indian, but instead, that some of his relatives were Indian? Maybe they were referring to the Matneys. Remember? 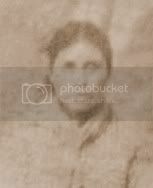 Elizabeth Warren's great grandma's second cousin married an Indian. It wouldn't make them Indians, but it would make some of their relatives, the children of David Matney, Indians. And how much more insulting can this Herring/Reed/Warren family be when it comes to real Indians? First they claim to be us. Then one from the family, Elizabeth Warren, uses that claim to benefit her career. Then she refuses to speak with any American Indian that requests a meeting and refuses interviews with Native journalists. Now they say being an Indian isn't something "you" were proud of. Uh, sorry, jackass, but in my family, it was something we were and are proud of. Never have we denied who we were. And as for the group statement made by all three of Warren's brothers, pfftttt! Sure you grew up listening to your relatives talking about your family's Cherokee and Delaware heritage. Sure you did! After all, like David said earlier, they were reluctant to talk about it! Ha ha ha. I think it would have been wiser if her brothers would have continued to keep their mouths shut. Sorry Betsy, but this was the bottom of the ninth, with one out, and you called in your pinch hitters. They struck out. Now it is two down and one to go before game over. Who are you going to send in to bat for you now? You are almost out of options. If you don't choose carefully, you are going to lose this game. Twila, I am happy to read that you are continuing to follow up with this story. People have repeatedly tried to brush off what happened here as insignificant, but it is NEVER insignificant when a would-be public servant abuses the system and then doubly abuses the trust of the people she wishes to govern. Clearly, abusing is not something she finds objectionable:(. Kudos to you for your outspokenness in this matter. You have a wonderful, informative blog:-).